In the Kerlin Gallery is IDENTITY, a group exhibit of artworks examining the subject of identity, be it cultural, historical, political, gender-based, physical, intellectual, adaptive, transformative, or any of the many other elements and experiences that shape and define who we are as individuals and human beings. 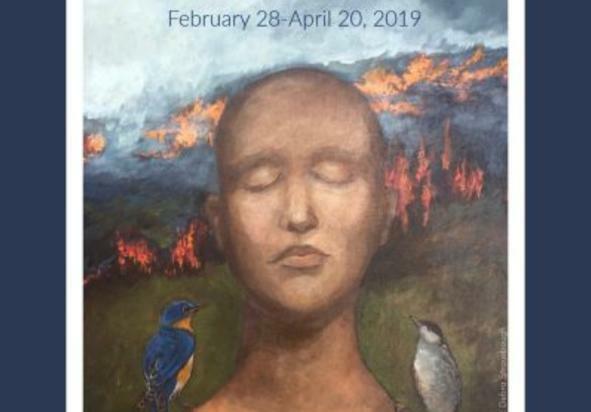 Each artwork is presented with a statement by the artist, encouraging a connection between the artwork and viewer, and hopefully sparking conversations beyond the exhibit itself. 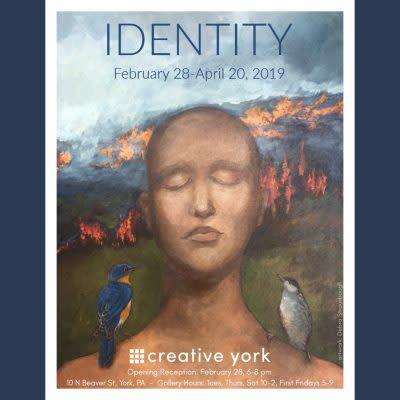 Participating artists: Ibiyinka Alao, Rosa Luz Catterall, Abigail Crone, Miguel Cruz-Cuevas, Michael W. Dugger, Shelby Elaine / Inclusive Arts Movement York, Brigitte Errickson, Lexus Gore, Gale Jamieson, Judeth Pekala Hawkins, Stephen March, Allison Moats, Janice Moore, Doug Puller, Jimmy Purkey, Ivy Rodgers, Dillon Samuelson, Debra Strausbaugh, Mary Louise Sullivan, James Tompkins, d. g. walczyk, Alyssa Waller, Leah Limpert Walt, Kay Wrenn, and Terri Yacovelli. Also opening the same night in The Project Space Gallery is The Secret Garden, an installation by New York artist Carlie Sherry. Through this immersive exhibit, Sherry shares her personal story of an all too common yet painful narrative of the female experience with the hope of empowering women to talk about this subject as it is often dealt with in secrecy.